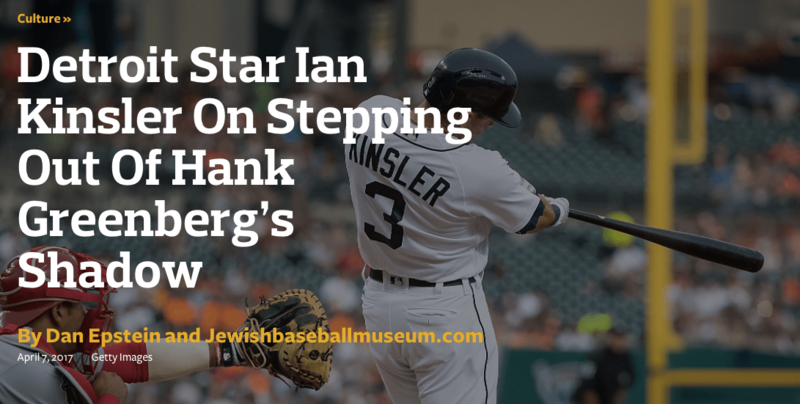 Detroit Tiger’s second baseman Ian Kinsler talks to writer Dan Epstein about growing up in Tucson, AZ and the legacy of Hank Greenberg. “You’re the best Jewish player that the Tigers have had since Hank Greenberg — and at this point, you’re probably the best Jewish second baseman in major league history. What does that mean to you?